Details: The project is coming up at Manchirevulu, Hyderabad spread across 18 acre of land. 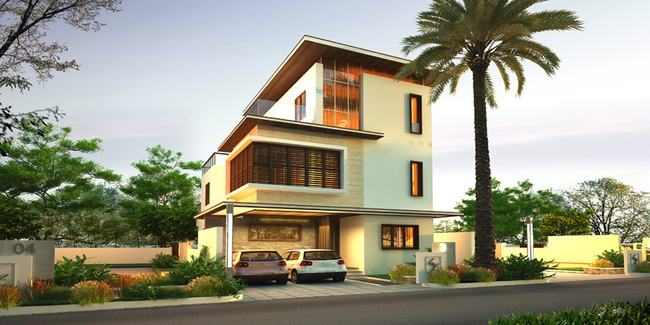 The villas offers 151 units with G+2 floor, having 3 and 4 BHK villas. Apart from the basic amenities, the project offers Water Softener Plant, Cafeteria, Vastu Compliant, Piped Gas, Landscape Garden, Swimming Pool, Rain Water Harvesting, sewage Treatment, Multipurpose Court, Multipurpose Hall, Laundry, etc.